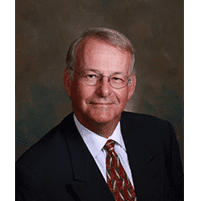 Dr. David Turner is certified with the American Board of Obstetrics and Gynecology, and has been practicing at The Women’s Group in Pensacola, Florida since 2011. Dr. Turner was born in Spokane, Washington. He earned his Bachelor of Science degree in Chemistry from the University of Georgia and received his medical degree from the Medical College of Georgia. Dr. Turner completed his residency in Obstetrics & Gynecology at the Pensacola Educational Program, now the Residency program at Sacred Heart Hospital. Upon completion of his residency, Dr. Turner was an active physician in the United States Air Force and was based at Barksdale Air Force Base in Louisiana. After his discharge from the Air Force, Dr. Turner began his OB/Gyn practice in Pensacola in July of 1986 ultimately joining The Women's Group in June 2011. He is a member of the Escambia County Medical Society. He enjoys teaching medical students and OB/Gyn residents in his role as Clinical Assistant Professor OB/Gyn with the Florida State University College of Medicine at its Pensacola campus. Dr. Turner is active in the local community and has served on the Board of Directors of Health First Network as well as the Quality Assurance/Utilization Management Committee of Blue Cross Blue Shield of Florida.